Young novices who have travelled to Luang Prabang from the countryside to receive the education that monks here are given, a luxury not available in their home village account for the majority of the monk population. Most of them are eager to have short conversations with visitors as a way to practice English, which they study as part of their curriculum. Increasingly, they are also studying Mandarin, Japanese as well as French and the other mother tongues of the travelers who come to Laos. If you understand all the taboos, all you need to do next is to get a taste of the city which is full of temple offerings. Wandering around and finding your favorite is one of the highlights of Luang Prabang. You may even find yourself sit beneath a Bodhi tree and help the novices with their homework and be well prepared for any novice monks in every temple who always want to practice their English. Note that for visitors, many of the most popular temples now charge a 20,000 kip entrance fee. From 06:00 until nightfall, temples are generally open to tourists. 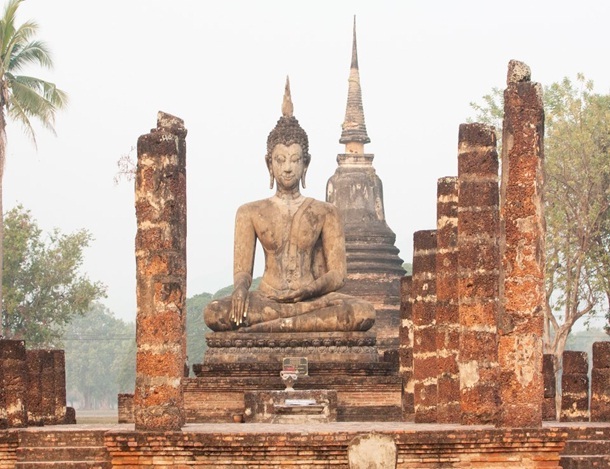 At the small Wat Aham, you can find many remnants of ancient spirit worshipping. Many centuries ago this temple owned a shrine for the guardian spirits of Luang Prabang that are now thought to live in a big Bodhi tree on the bases of the temple. Even today wooden masks that are used for the “Dance of the masks” during the New Year festivities are kept at the temple. During New Year celebrations in Laos, a large number of monks of several of temples in Luang Prabang walk in procession to reach the Wat Mahathat temple where they can see a dance performed for Na No and Pu No, the guardian spirits of the city. 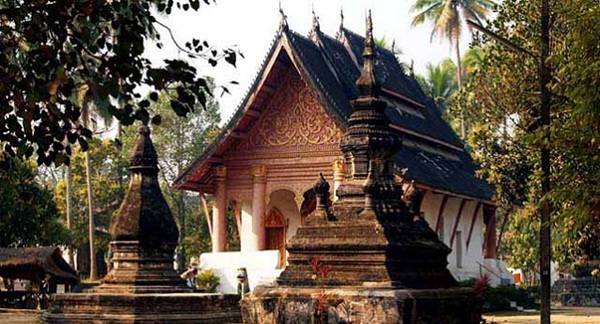 An elaborate front façade and huge, multi tiered sweeping roofs almost extending to the ground are the main character of the style of the temples in Luang Prabang. These finials shaped like a Naga, the mythological serpent regarded to protect Buddhism are adorned on the tips of the roof. 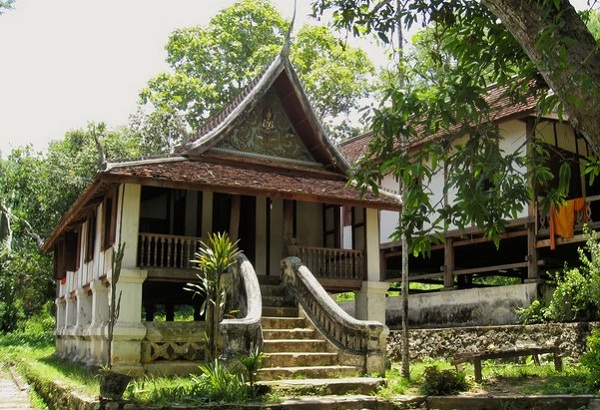 The “Dok so faa”, an ornamental roof element, usually including an amount of miniature pagodas topped by multi tiered parasols are typical for Laotian temples. 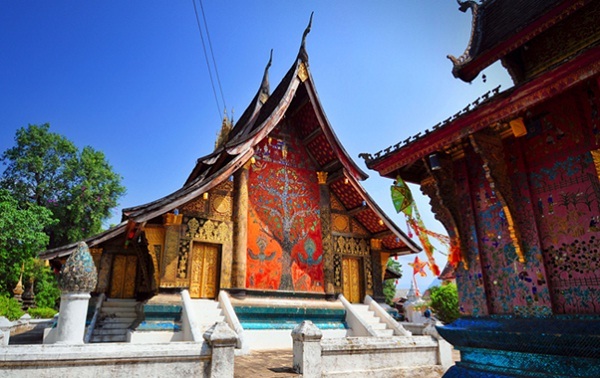 Many Lao temples, as in neighboring Thailand, contain stenciling or murals on lacquer of the Jataka tales, the stories about the last lives of the Buddha.